As financial stress continues to impact workforce performance, many companies are turning to employee discount programs to add tangible value to their benefits and perks. What are employee discount programs, how are they built, and how can you tell the difference between one that your employees will love, and one that won't make any kind of difference? 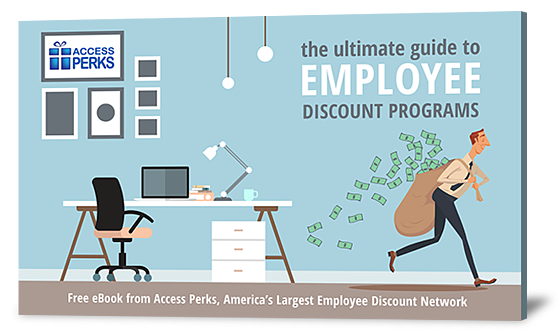 Download this free guide from Access Perks, operators of the nation's largest employee discount network, and learn everything you need to know about employee discount programs. What employee discount programs are, and why current trends in compensation are driving more employers to adopt them. How to recognize important differences in employee discount programs and evaluate which one works best for your company. What you should expect to spend on an employee discount program, and how to build your own. How to get the most value from your program by partnering with your vendor, plus key measurements. Access Perks | ©2011-2017 | All rights reserved.